Purpose: Use this document as a reference for adding Driver's license information into ctcLink. Enter the driver's license number in the Driver's License Nbr field. For positions requiring a valid driver's license, use the License Suspended box. The Country field will default to USA. Enter the Issue Location (20 characters max). Enter the Issuing Authority (20 characters max). 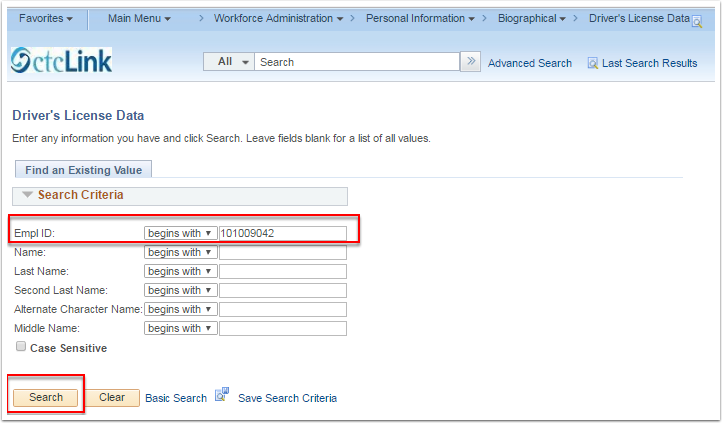 Enter the Valid from and Valid To dates. 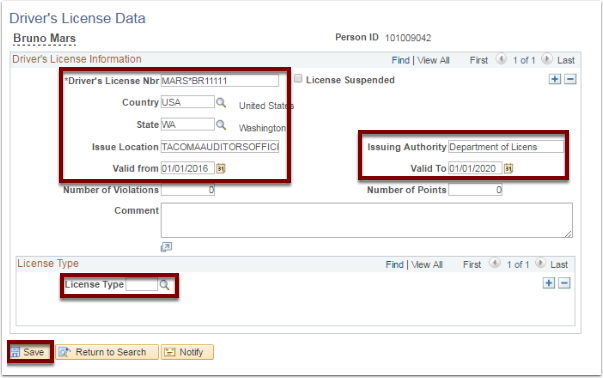 Enter/Select a License Type, if applicable. You have successfully added Driver's License Information!!! !